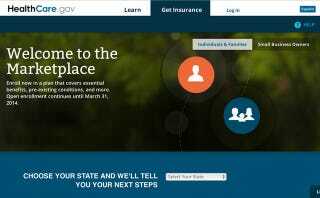 We don't need to tell you how much of a disaster Healthcare.gov has been. But what we do need to tell you is that, fortunately, the Government is being sensible enough to not renew its contract with its host Verizon. H-P's Enterprise Services group was awarded a $38 million contract to provide web hosting services over the summer, federal contracting records show... An HHS official said the agency overseeing the marketplace "has begun the necessary activities to transition the data center over to H-P. We are working to ensure a smooth transition between the two contractors."